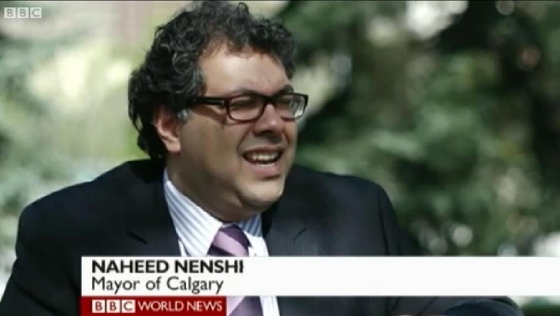 Calgary Mayor Naheed Nenshi, a popular social media presence and the son of Tanzanian immigrants, is the first Muslim mayor of a major Canadian city. He tells the BBC's Katty Kay that trust and dialogue is what makes Calgary so successful. "I firmly believe that you make the best decisions as a policy maker when you've got the best data," he says. "That information has to include what the real experts in the world, that is the people who live there, think about their own community."